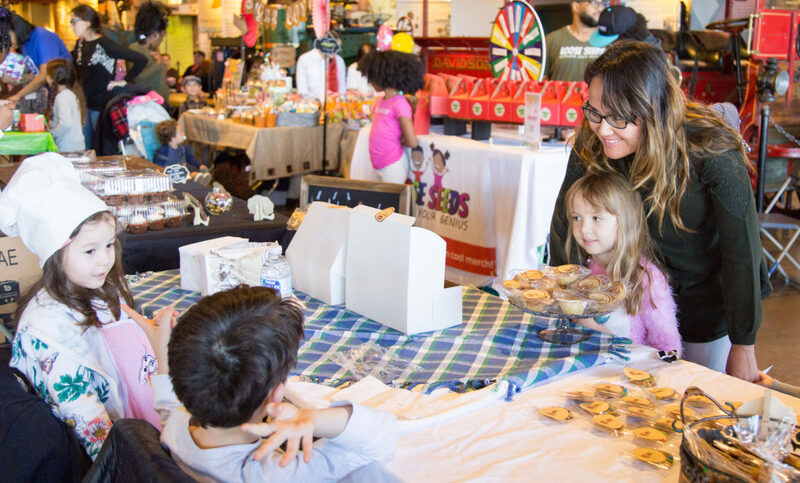 At the Baltimore Children’s Business Fair, kids will create a product or service, develop a brand, build a marketing strategy, and then open for customers at this one-day marketplace. The children are responsible for the setup, sales, and interacting with customers, and any parent seen selling to the customer or promoting the child’s product will result in disqualification from the competition. A previous competitor from 2009, Makaila Ulmer of Bee Sweet Lemonade, was once a participant in the Acton Children’s Business Fair. Mikaila’s Bee Sweet Lemonade is now sold in Whole Foods Market across the country as a result of her young business savvy. This event is sponsored by Acton Academy, the Acton School of Business, and the generous support of our Baltimore donors and volunteers, who all believe that principled entrepreneurs are heroes and role models for the next generation. Ja’Near Garrus, the founder of the Baltimore Children’s Business Fair, has a passion for entrepreneurship and developing children to reach their highest and fullest potential. She is the principal designer at the design and marketing firm, Garrus Creative, and is the director of a local homeschooling group. Ja’Near lives in the Baltimore area with her husband, Ryan, and their three children.